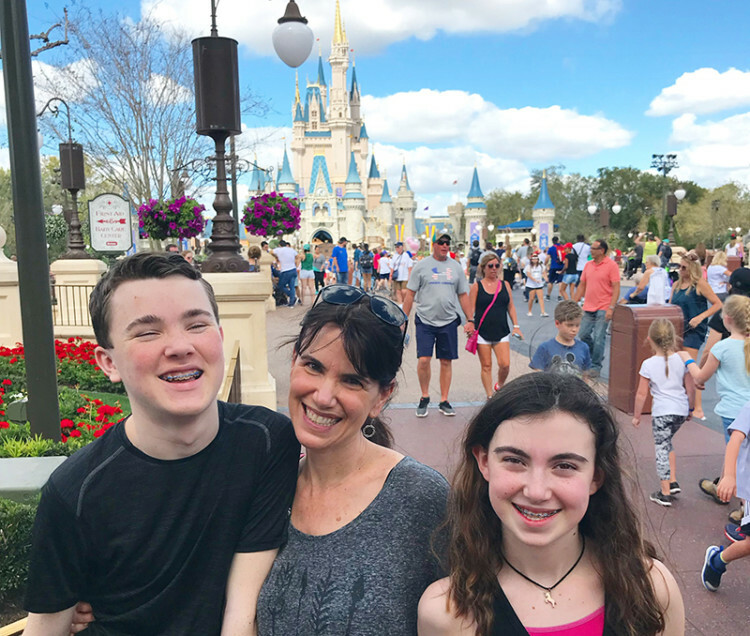 Disney World is a perfect destination for a family vacation. What’s the best way to document the occasion? Well, family photos, of course. Snapping pics anywhere in the parks just won’t do. Want the perfect family photo? 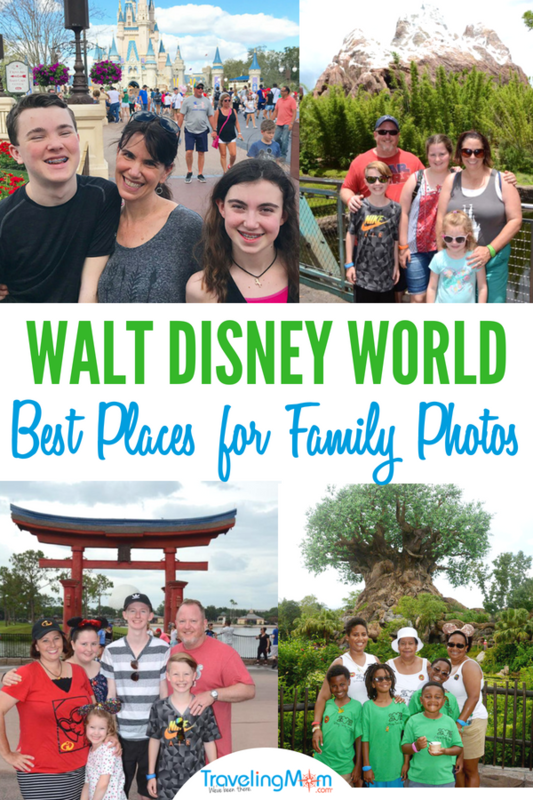 Here’s a roundup of the best backdrops in Disney World for your group pictures. 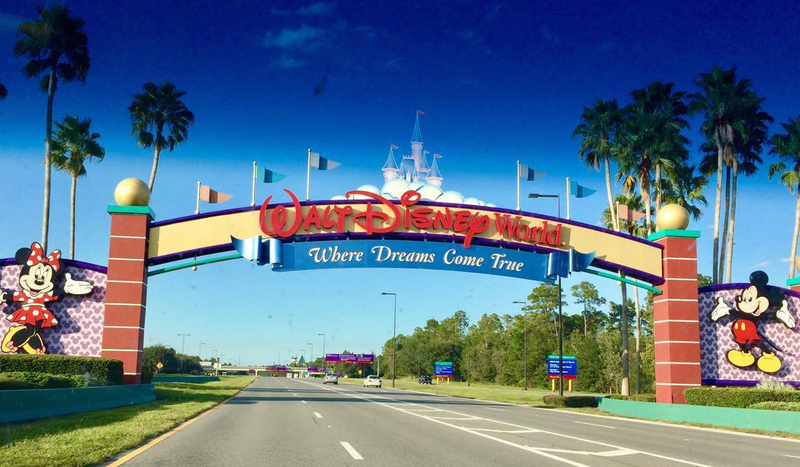 I first visited Disney World when I was in 6th grade. I won’t give my age, but let’s just say it was a LONG time ago. It’s a shame that I can’t find any photos from that visit. I returned with my family in February of 2018. I had some ideas of where to grab a family photo, but I wish I was armed with this list from our wonderful Traveling Mom team. 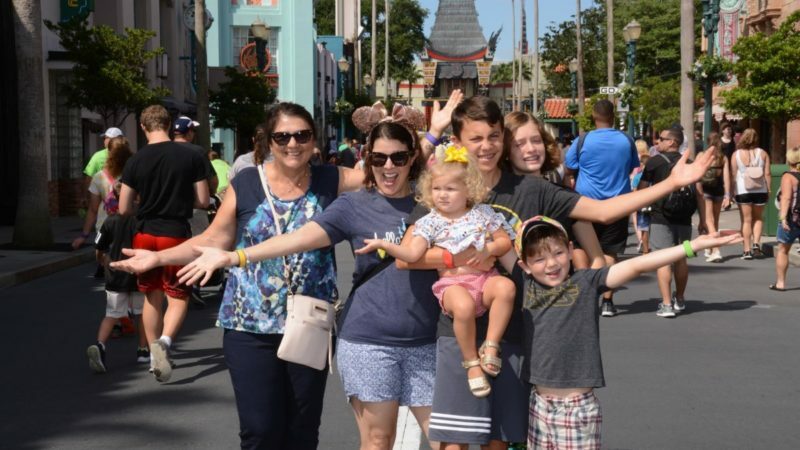 On your next visit to “The Happiest Place on Earth,” these are the must-take locations for a Disney family photo. 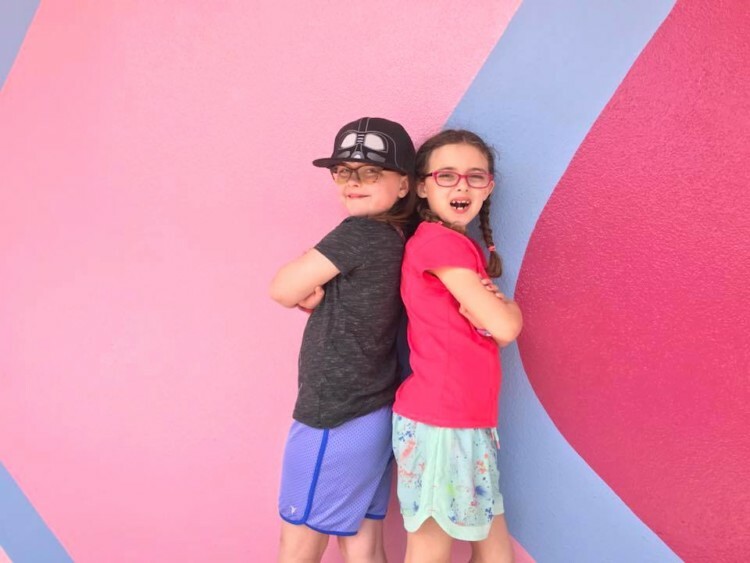 Instagram walls are a recent trend in all the parks. 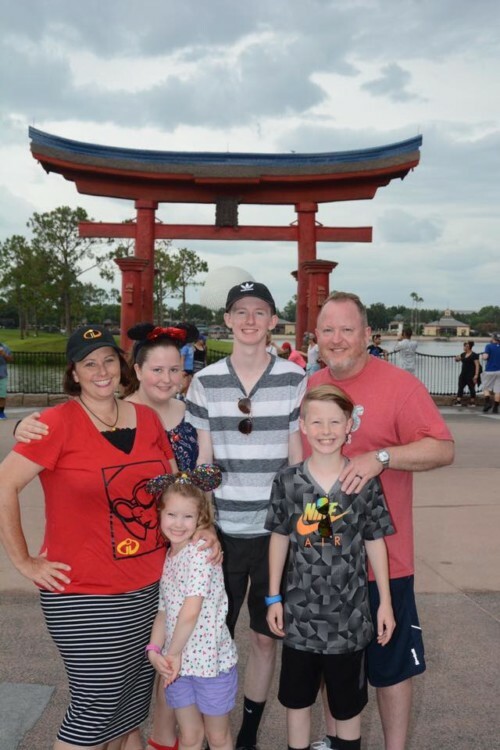 They make for fun backdrops that add a bit of pop to your Disney family photos. You can find the “purple wall” in Magic Kingdom’s Town Square, which is just after the tunnels beyond the turnstiles. Another unique spot for a family pic is outside the entrance to the Be Our Guest restaurant with the Beast Castle in the background. 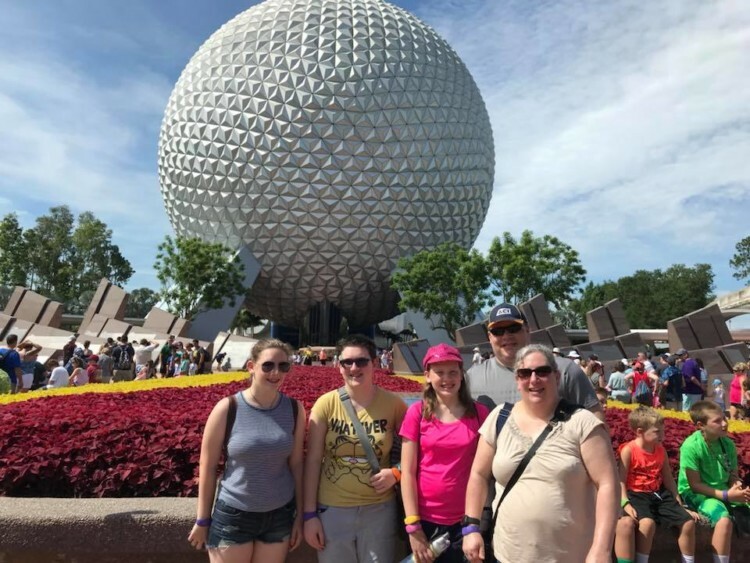 At Epcot, the quintessential Disney family photo is in front of the Spaceship Earth Geosphere. It’s the park’s centerpiece for sure. Did you know the structure is 18 stories tall? I always like to find fun facts about Disney World icons. 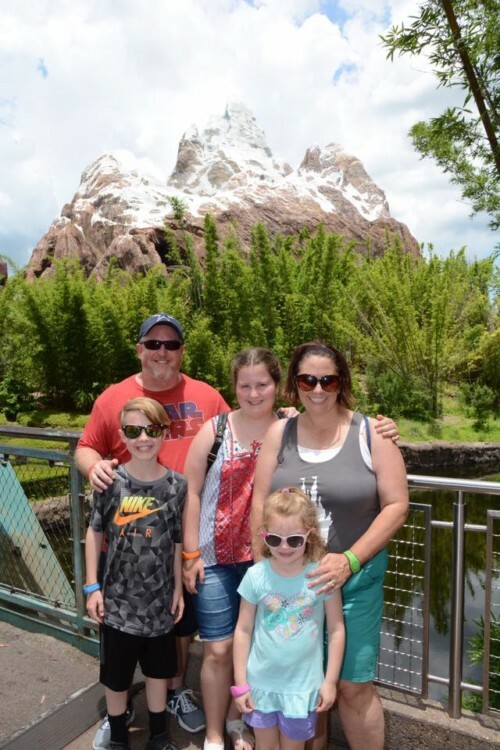 This is another spot where you will typically see the Disney pros taking family pics. Almost directly across from the Gateway is Japan Pavilion and its famous Red Arch. 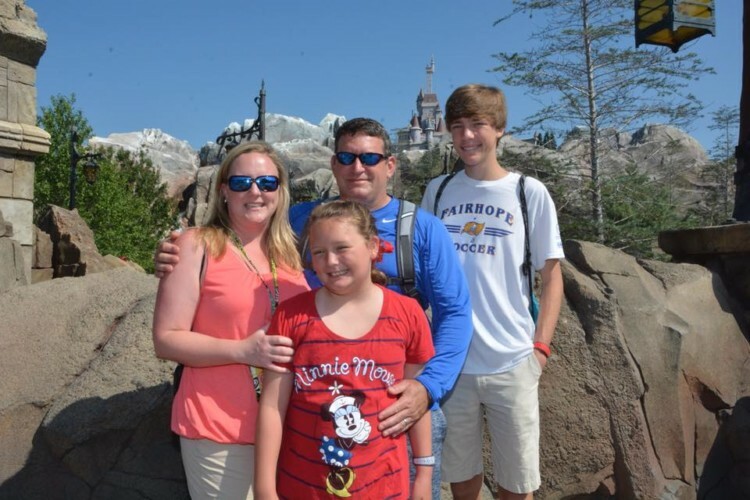 It’s another great backdrop for a Disney family photo. This angle includes the World Showcase lagoon and even a peek of the Spaceship Earth sphere. 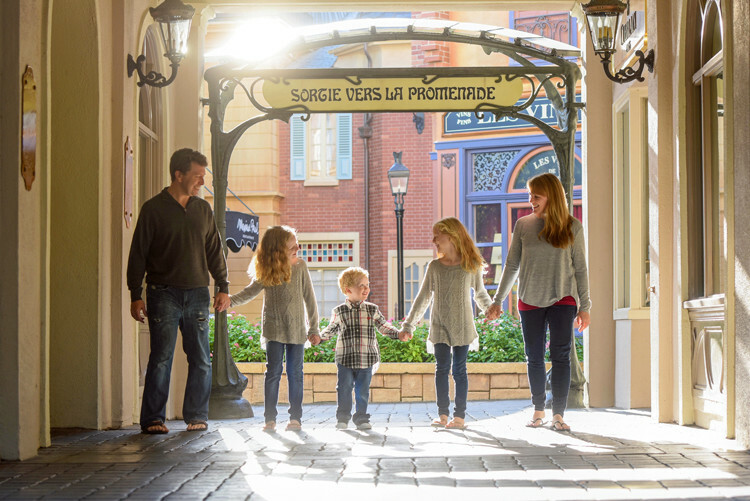 Keep an eye out for other spots that create a frame around your family like this one in the France Pavilion. 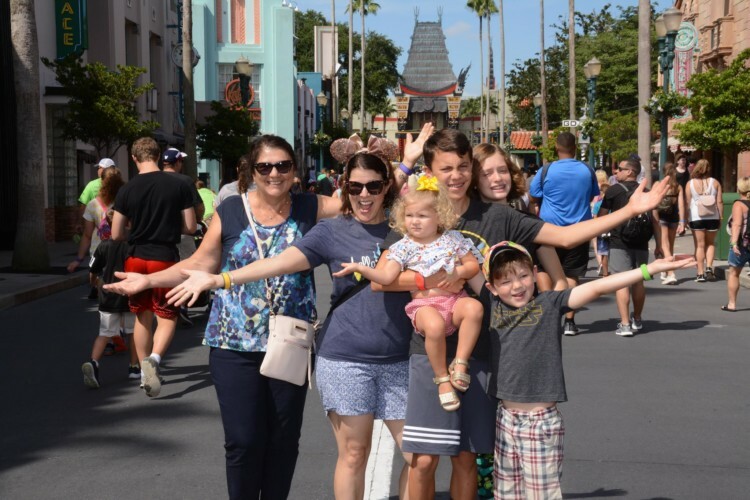 TravelingMom Jennifer Kaufman also has great ideas on where to capture family photos outside the parks. This wall is at the exit of Spaceship Earth. It’s a super cute and colorful backdrop. 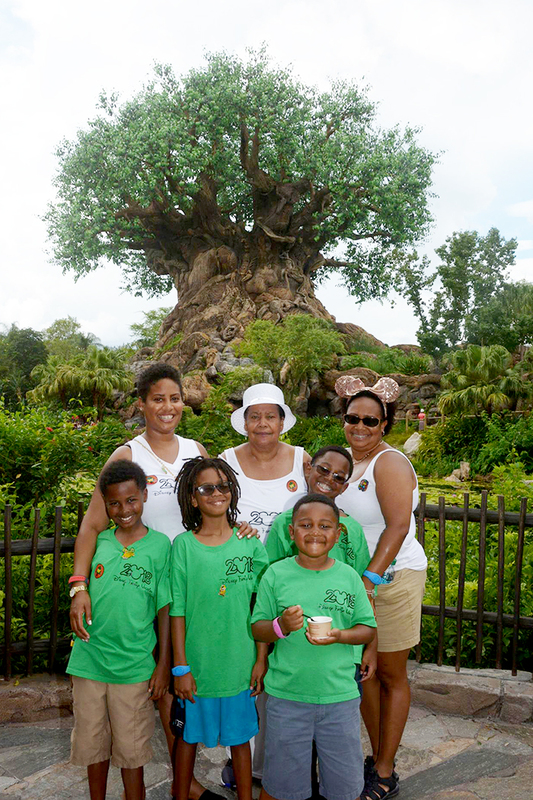 The Tree of Life on Discovery Island is the center piece of the park. It’s definitely the perfect place to capture your visit to this park. The front of the tree can be super crowded. Consider snapping a pic behind the tree. Here is an example of a shot from this vantage point. 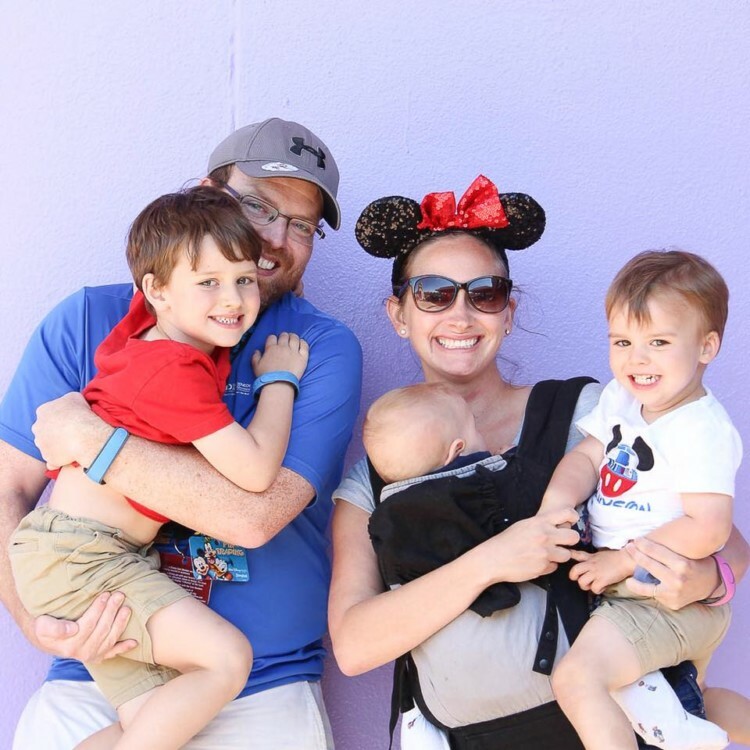 We even have ideas for fun Disney family shirts like these. 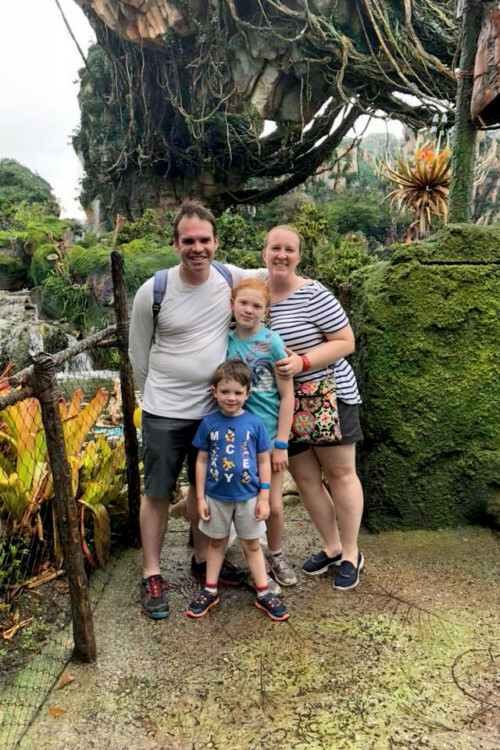 Pandora provides many great backdrops for family photos at Disney World. It’s one of our favorite spots in the park. Another favorite spot is on the bridge between Discovery Island and Asia with Mount Everest in the background. Just past the entrance of Hollywood Studios, you’ll find Hollywood Boulevard. It’s a cool spot for family photos with the replica of Grauman’s Chinese Theater in the background. 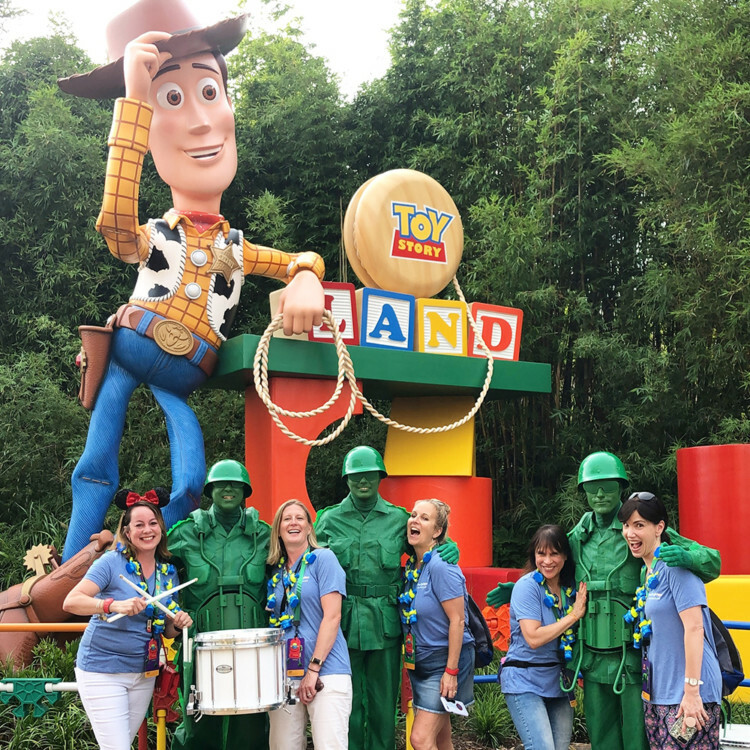 The newest addition to the park, Toy Story Land provided multiple areas for terrific family photos. The land is so colorful and bright and a few characters, like Buzz Lightyear and Woody are larger than life. Ask a few of Andy’s Army Men to join your family and friends. 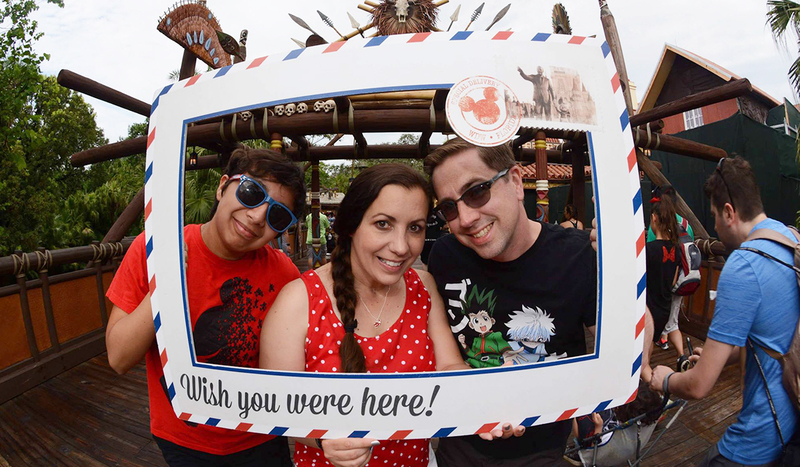 You might want to consider a Disney Memory Maker package if you don’t feel like handing your camera to strangers to snap your pics. This is where the Disney pros take your pictures throughout the park. Some rides take your pictures as well. 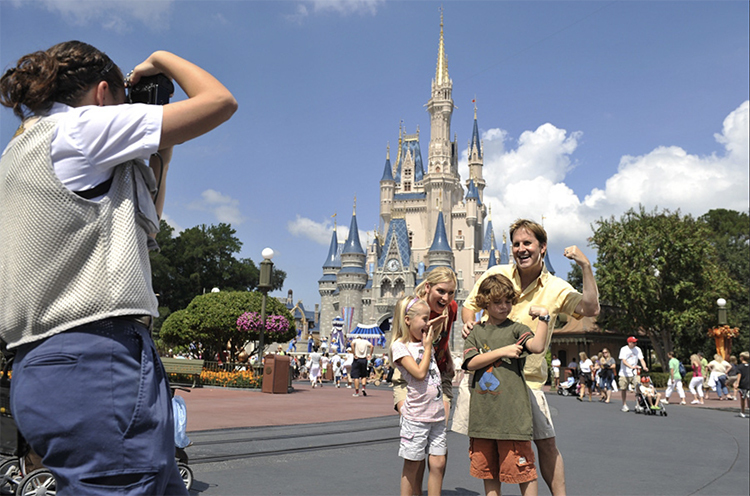 Wherever you take your family photos at Disney World, you are sure to capture special memories. Do you have a favorite spot? Let us know in a comment.